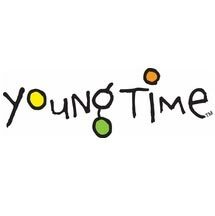 Young Time® is for budget-minded buyers seeking to get the most for their classroom furniture dollar. Young Time® offers affordable, American-made early learning furniture designed with a focus on the functionality you need most! Young Time® furniture comes in your choice of fully-assembled or ready-to-assemble. With ready-to-assemble, each unit ships flat, reducing the freight cost so you can stretch your dollars even further! All Young Time® products are GREENGUARD Children & SchoolsSM indoor air quality certified!